Lin Rong, a 27-year-old Chinese woman, just does not want to leave Japan. She’d already been deported once for overstaying her visa, and she wasn’t going to take any chances this time. Before she was apprehended by police for arranging a falsified marriage to a Japanese national, she took the unusual step to have her fingerprints rearranged (in what has to be an incredibly painful surgery) in an attempt to bypass immigration controls. Unfortunately for Lin, paying $15,000 to get your fingerprints rearranged leaves telltale scars on each of your fingers. The sugery scars are what tipped police off, and after some investigation, they discovered that the fingerprints on her left hand were swapped with the fingerprints from her right hand. This is a noteworthy case now, but in a few years, you’ll read about this thing happening all the time. 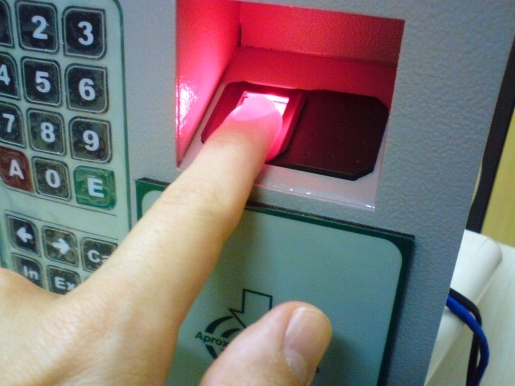 Given the increased use of biometric identification and unified government databases, those who wish to live underground or bypass the laws in some form or fashion are going to have to resort to this kind of biometric fraud.